Visibilities allow you to define which of your users are able to see specific categories, projects, mileage and fuel rates, VAT rates and custom fields. You set visibilities at a department, user group or individual level. From the Admin section, click User Groups. 3. Give your user group a name. Please note: You will need to have your users setup on the account first to do this. Navigate to the Users area and click Edit next to the user you wish to assign to that user group. 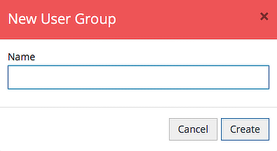 Click the User Groups dropdown and assign the group(s) to the user. Please note: You can assign a user to multiple user groups. 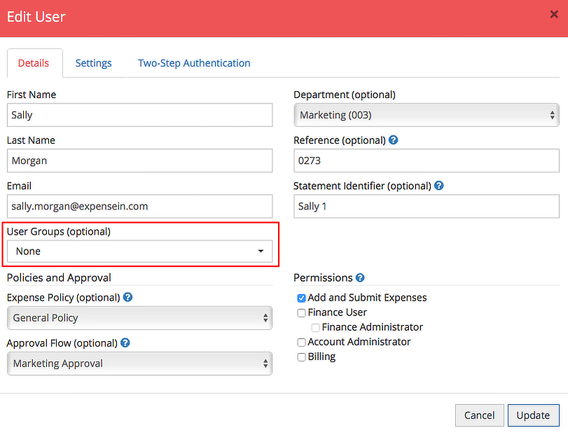 Now that you have created your users groups and assigned them to your users, you can configure the visibilities at a user group level. 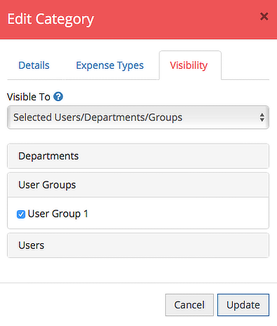 When configuring your categories, projects, mileage and fuel rates, VAT rates and custom fields, you can now set visibilities at a user group level. Set up visibilities for your categories, projects, mileage and fuel rates, VAT rates and custom fields.